Your Website, without complications: compatible with all devices. Build your own Online Store and your payment gateway in minutes. Free with all hosting packages. 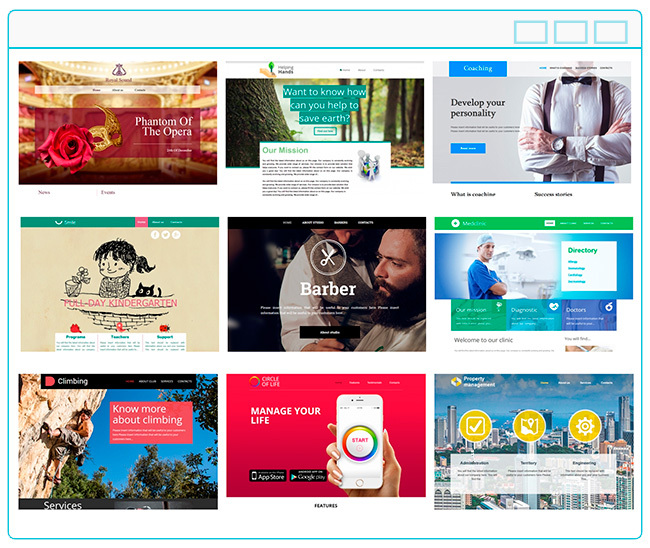 Choose the template that best suits your needs, from almost 200 templates. Personalize your content and modify images, drag content, links... in a totally intuitive way. Publish. Your website online in minutes.